One of our top brands at C.H. Render Trading as Station Garage Flaxton Ltd is Ford and it is not hard to see why. The manufacturer has released a lot of popular trustworthy and spacious commercial vans and you will find an excellent selection of these on our forecourt in York. 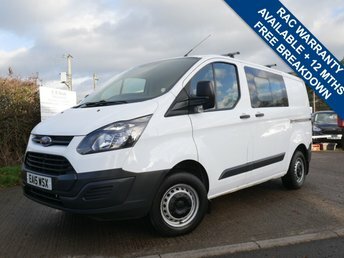 For those looking for a van which offers space and practicality, Ford Transits are ideal and you will not get a better price for such high-quality vehicles anywhere else in North Yorkshire. Visit C.H. Render Trading as Station Garage Flaxton Ltd in York today to view our exceptional commercial vehicles.